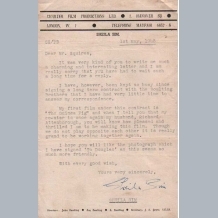 A nice collection of three typed letters on her own Charter Films London headed paper, clearly signed in ink at the conclusion of each by Sheila Sim. 1) 1st May 1948. 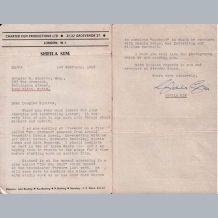 Letter mentions her 1948 film "The Guinea Pig" alongside her husband Richard Attenborough. 2) 1st February 1949. 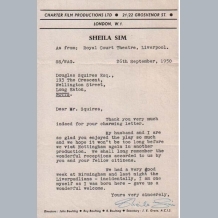 Letter mentions her 1949 film "Dear Mr Prohack", her husband Richard / Dirk Bogarde / Dennis Price and William Hartnell. 3) 26th September 1950. From the Royal Court Theatre Liverpool. PRICE is for all three letters together. 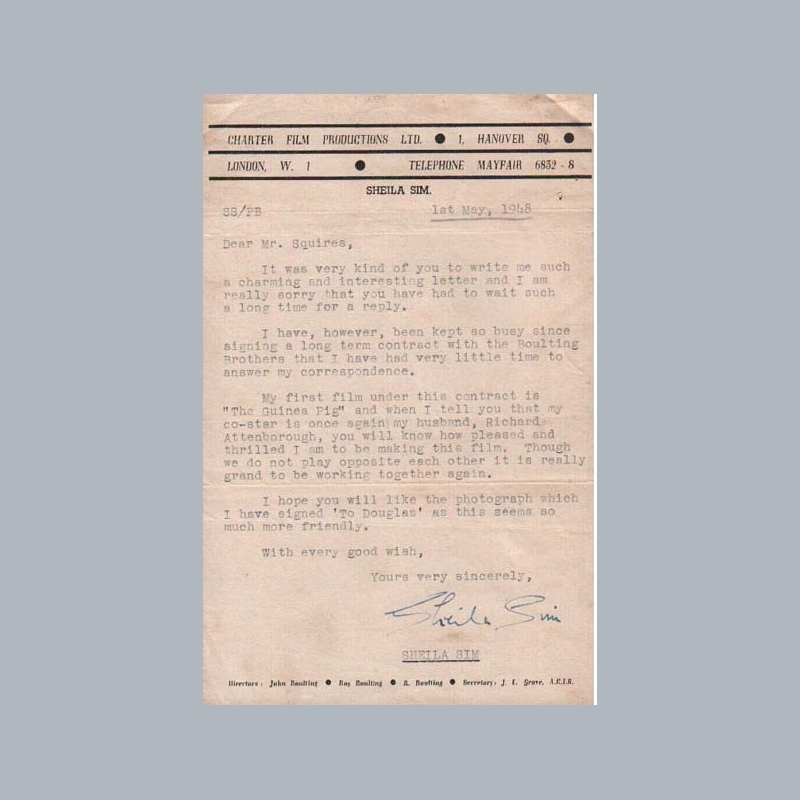 One of a wonderful collection of over 50 celebrity letters all obtained during the late 1940s to early 1950s by a Mr Douglas Squires. 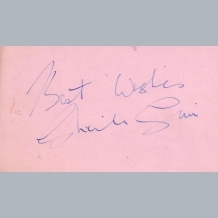 He was involved in editing a School / University Film & Theatre Entertainment magazine during this period and wrote to celebrities looking for a contribution of autographs and signed photographs for the magazine. Many of the letters are gracious and detailed replies with many references to helping his project and mentions of their careers at that point in time. AFTAL Dealer No13 and UACC RD Memorabilia UK COA. Good. View Images. Minor folds and age rusting to the paper. SHEILA SIM d2016. English film and theatre actress married to Sir Richard Attenborough from 1945 until his death in 2014. 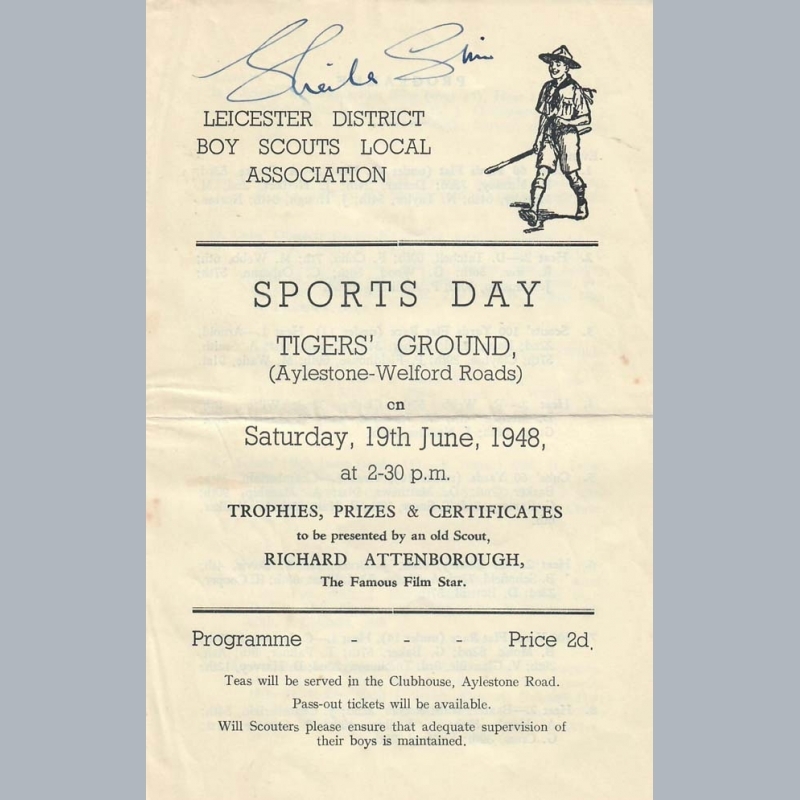 A quirky original 1948 Leicester Boy Scouts Sports Day programme (with trophies presented by her then husband Richard Attenborough), clearly signed in ink on the front cover by Sheila Sim. 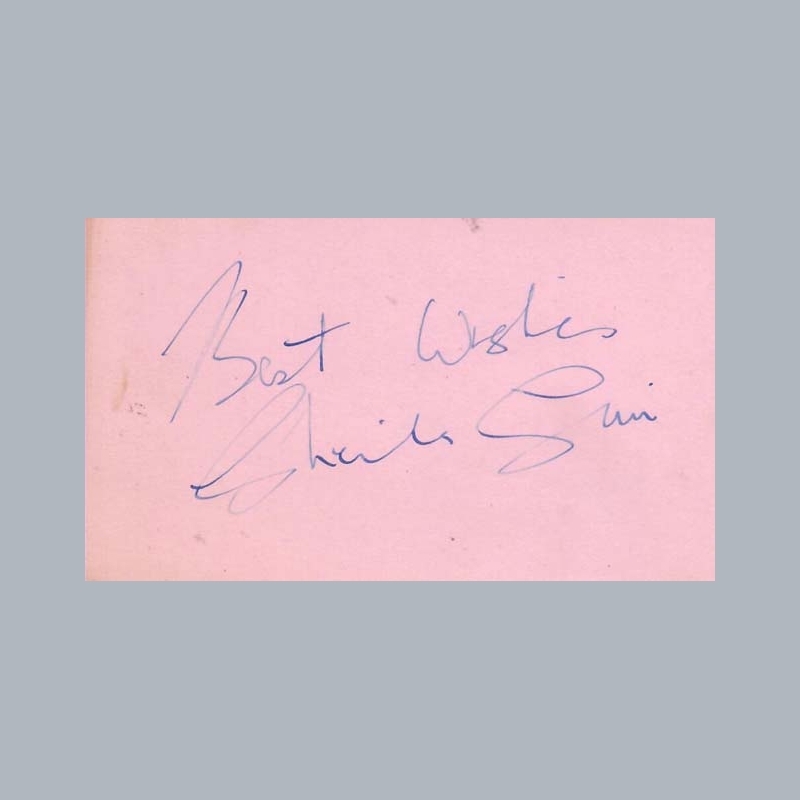 From the autograph book of J Hudson who was an Assistant Purser on the SS Queen Mary. 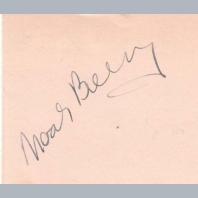 Many of the autographs are dated 1938 and some have added notation Re Queen Mary (See Code 9442 Mary Pickford). 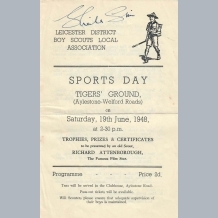 This programme is dated Saturday 19th June 1948. AFTAL Dealer No13 and UACC RD Memorabilia UK COA. We have no videos for Sheila Sim.